See the best of Western Canada, from the towering peaks of the Rocky Mountains to the endless fields of vineyards. Smell the fresh mountain air, touch a living glacier and taste some of the best wine in the world. Transfer to Banff from Calgary International Airport. Enjoy a half day excursion tours through the town of Banff and its environs. 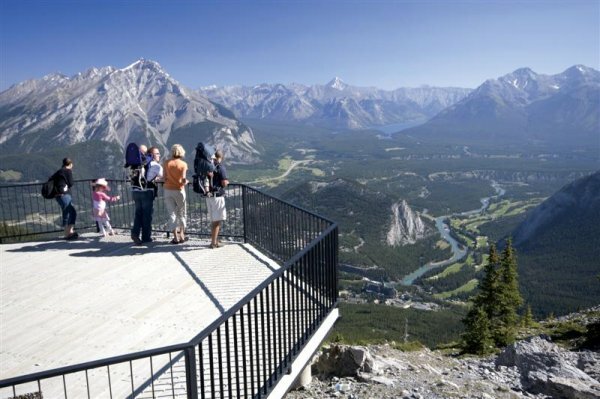 Take a ride on a gondola car to the peak of Sulphur Mountain for a 360 degree view of the Banff Town site and the Bow Valley. Visit Bow Falls before ascending Tunnel Mountain Drive to view Surprise Corner and the Hoodoos, overlooking the Bow River. 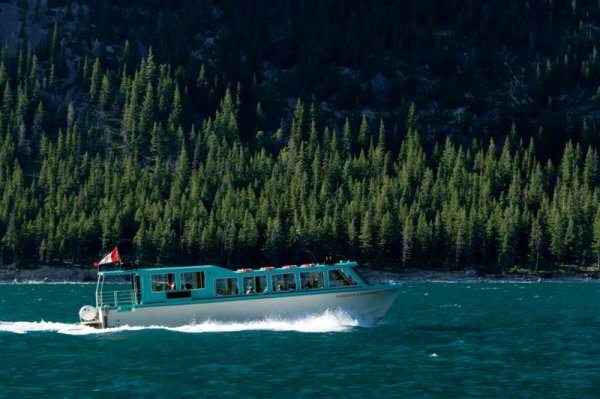 Continue to Lake Minnewanka, and enjoy an hour long cruise. Big horn sheep, deer and eagles are often spotted at the waterâ€™s edge. Return to Banff via Minnewanka Loop with a stop at Two Jack Lake. The remainder of your day is at leisure. Travels north along the famous Icefields Parkway, one of the most spectacular highways in North America. Travel through Banff and Jasper National Parks with stops at the Columbia Icefield & the newly opened Glacier Skywalk. At the Columbia Icefield, enjoy lunch at the Columbia Icefield Discovery Centre. 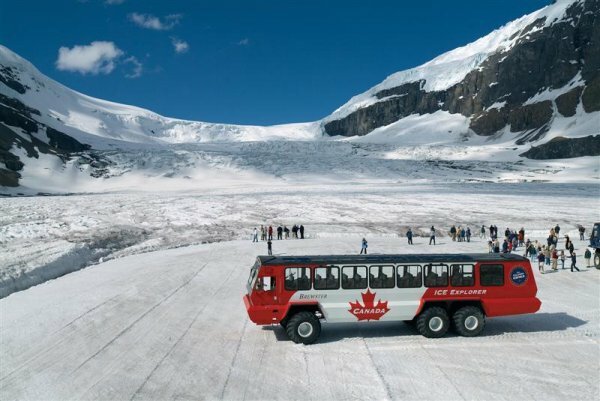 After, board an Ice Explorer and travel onto the icy slopes of the Athabasca Glacier. Only a few minutes from the Athabasca Glacier visit the Glacier Skywalk, Jasper National Parksâ€™ newest attraction. Depart Lake Louise and head into the province of British Columbia. A lunch break is made in the alpine town of Revelstoke. Driving further south, the Trans Canada Highway travels past Craigellachie, the site of the last spike of the Canadian Pacific Railway in 1885. We continue south into the famed wine region of the Okanagan Valley. The last stop of the day is at a local winery for an exclusive tour and educational wine tasting. Today you have a choice of a winery tour of local vineyards or a culinary tour of the region. Option 1 The Sampler: Visit local wineries for a tour and wine tastings. Enjoy wine tastings at Mission Hill, Quailsâ€™ Gate Estate Winery and at one other winery. Savour delectable cuisine overlooking vineyards, Okanagan Lake and the Valley. Option 2 Eastside Bench: Enjoy an in depth wine tour with stops at Carmelis Goat Cheese farm, Summerhill Pyramid Winery, Cedar Creek Estate Winery and St Hubertus Estate Winery. Depart the Okanagan Valley on the Coquihalla highway which travels through the interior to the town of Merritt. Then follow the TransCanada Highway 1 along the Fraser River and connect with the Fraser Canyon. En route a stop is made at Hellâ€™s Gate. You will descend from the highway level in one of two 25-passenger gondolas, and experience a breathtaking flight directly above the unique Hellâ€™s Gate fishways. On the last leg of your journey, youâ€™ll find yourself travelling through the Fraser delta region and then into downtown Vancouver, for a late afternoon arrival. Tour ends. Check out of your hotel and transfer independently to Vancouver Airport for your flight home. Hotel accommodation including taxes for 7 nights. Banff Lake Cruise (seasonal: May 9 - October 5, 2014). Excursion from Banff to Jasper. Souvenir photograph at either the Banff Gondola or the Columbia Icefield. Transfer from Jasper to Lake Louise. Exclusive sightseeing between Lake Louise and Vancouver. 2 breakfasts and 2 lunches between Vancouver and Lake Louise. Tour while in Kelowna, options are: The Sampler (including lunch) or Eastside Bench Winery Tour (including lunch). Wine tasting in Kelowna & Take Home Gift.